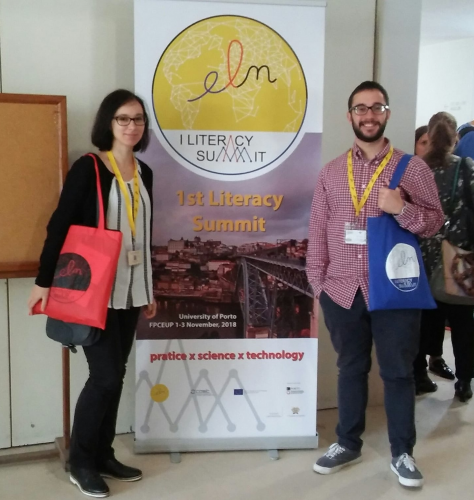 The development of L2 literacy in students in HE is challenged by a complex range of factors such as the multimodality of communication, local diversity and a variety of genres and discourses (Cope & Kalantzis, 2009; Flowerdew, 2015). 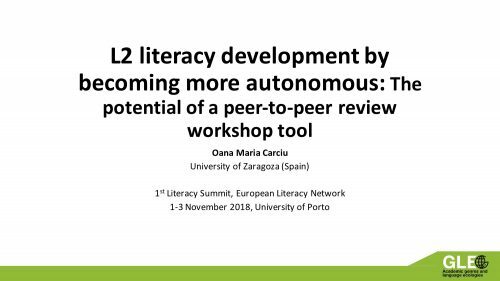 This presentation reports on a pilot L2 writing literacy learning and teaching intervention that sought to examine the effect of the use of the Workshop tool in the Moodle Learning Management System (LMS) on students’ autonomous learning beliefs and behaviours in the first year English for Early Childhood Education course. Changes in beliefs and behaviours were tracked using a pre- and post-task survey, along with task learning logs. Results showed a change in beliefs of autonomy from pre- to post-task survey, and pointed to the feedback guided by a rubric as enabling them to practice autonomously. The presentation will finally highlight that autonomy needs to be introduced gradually (Allford & Pachler, 2007). Personal pronouns denote authorial voice and agency (Hyland, 1998, 2005), both key to academic writing. 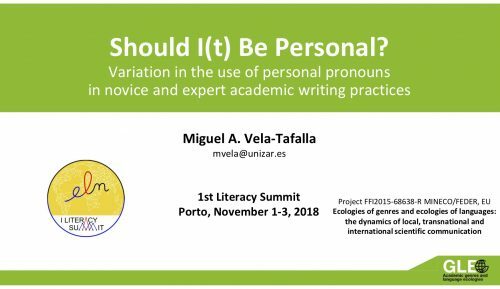 This talk presents a small-scale corpus-based study on the use of pronouns in research article and undergraduate dissertation abstracts written in English as an L2. First-person pronouns were found more common in expert writing, while undergraduates resort to impersonal metadiscourse like “this study” to present research. Aligning with previous studies (Ivanič & Camps, 2001), I would argue that this variation is connected with the acquisition of the value of impersonality at early stages of acculturation into the academic discourse community, undergraduates’ (novice writers’) practices showing lower readiness to display personality despite expert usage. Differences in communicative purpose within the abstract genre are also discussed, with research genres promoting authorial visibility more overtly than pedagogic genres. These findings inform the teaching of L2 abstract writing and encourage raising awareness about personality construction through pronoun usage.